Event: Interim results and presentation for the six months to 31 December 2018 published 29 March 2019. 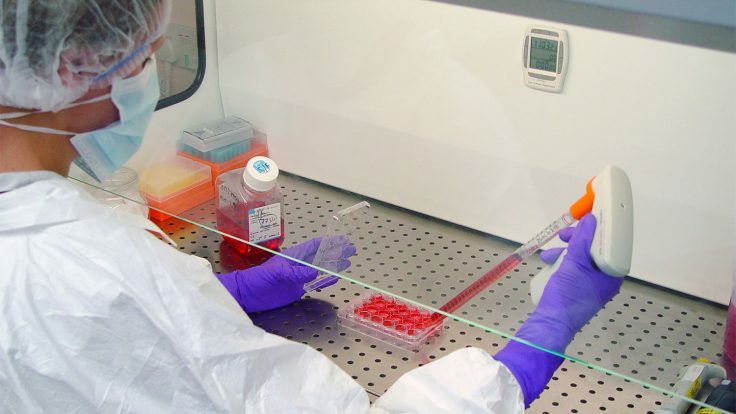 Develops diagnostic antibodies for blood-test machines, direct competition for which is limited due to regulatory hurdles, scientific innovation, notable switching costs and revenue ‘lock in’ through ‘captive’ hospital end-customers. Boasts founder/entrepreneurial/owner-friendly chief exec who has overseen an attractive growth record, retains an 8%/£17m shareholding and has declared three special dividends. Employs asset-light royalty model that encompasses terrific margins, super returns on equity, decent cash flow and no debt. Excluding back-dated royalties collected during the prior year, both revenue and operating profit advanced 24% to set new ‘underlying’ first-half records. The performance continues BVXP’s style of under-promising and over-delivering. I am hopeful the current year could repeat 2016, 2017 and 2018, when management expectations of “modest” growth translated into 20%-plus underlying revenue/profit advances. The first-half dividend was lifted 20%. These first-half numbers may have underplayed BVXP’s actual progress. 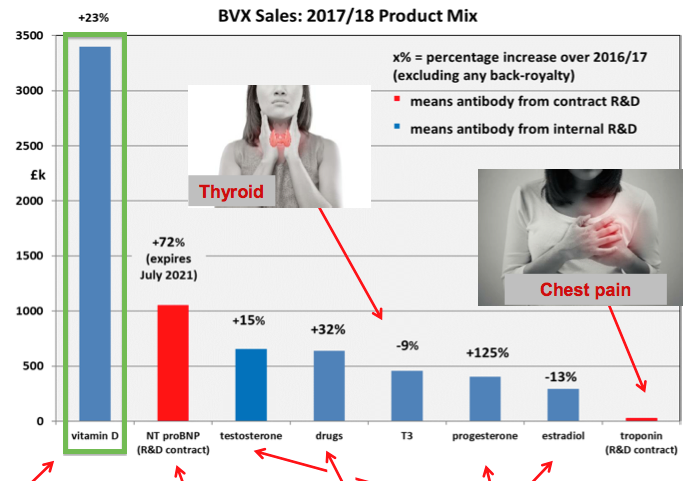 During the comparable half-year (H1 2018), BVXP earned revenue from a now-terminated antibody licence. This product licence generated annualised revenue of £1m before its termination during August 2017. Revenue from the now-terminated licence during H1 2018 (i.e. for July and August 2017) may have therefore been c£125k. Adjusting for the now-terminated product licence and the back-dated royalties, revenue for this first half may have advanced from £3.4m to £4.4m — or 28%. A grapevine source attended a post-results presentation, during which management claimed the group’s vitamin D antibody enjoyed H1 sales growth of 28% — matching my 28% estimate for ‘underlying’ sales growth. According to my grapevine source, BVXP’s vitamin D antibody can be sold in greater volumes to owners of “general “chemistry” analysers”. However, such volumes are offset by the lower price paid per antibody to BVXP. My grapevine source says BVXP’s royalty on vitamin D remains at between 4% to 5% regardless of the customer. Other antibodies earn 2% royalties. My grapevine source adds that BVXP’s management views a vitamin D ‘plateau’ to be sales growth reducing to between 5% and 10% per annum. BVXP’s new troponin antibody — used to help detect potential heart attacks — continues to produce low sales. My grapevine source says £50k was recognised during the half. BVXP had admitted within October’s annual results that its troponin revenue had been “below our expectation”. My grapevine source says BVXP’s house broker still believes troponin revenue could one day reach £3m. My grapevine source says initial testing of BVXP’s amyloid product — which is being developed in collaboration with Pre Diagnostics and aims to detect Alzheimer’s disease some five-to-ten years before onset — could be finalised during the next 18 months. If successful, this amyloid product could require a further five years or so of regulatory trials before a commercial launch. My grapevine source says management reckons the company is “making more adventurous choices” with its pipeline. In the past, BVXP had concentrated more on improving existing antibodies rather than developing novel products. BVXP’s accounts remain in extremely good shape. the competitive strength of the business. Cash in the bank dropped by £1.5m to £5.5m during the six months. Earnings of £2.7m plus a favourable £0.5m working-capital movement were offset by the £4.7m payment of last year’s final and special dividends. Cash of £5.5m equates to 106p per share. A bumper second-half could therefore lead to yet another special dividend (extra payouts were declared for 2016, 2017 and 2018). The balance sheet carries no debt and no pension complications. The forecasts were unchanged from those supplied at the preceding full-year results. A projected £5.9m profit after tax equates to earnings of 115p per share. The house broker’s 2019 forecasts imply full-year revenue growing by 13% and pre-tax profit growing by 16%. The 2019 forecasts also imply second-half revenue growing by 4% and pre-tax profit growing by 11%. Going on BVXP’s first-half performance and the implications for the second half, the house broker’s 2019 forecasts appear conservative. Excluding back-dated royalties, revenue and pre-tax profit for 2018 were in fact £8.0m (vs. £7.2m forecast) and £6.1m (vs. £5.5m forecast) respectively. BVXP’s trailing twelve-month operating profit is £6.7m, which taxed at the 15% rate applied within these results gives earning of £5.7m or 110p per share. 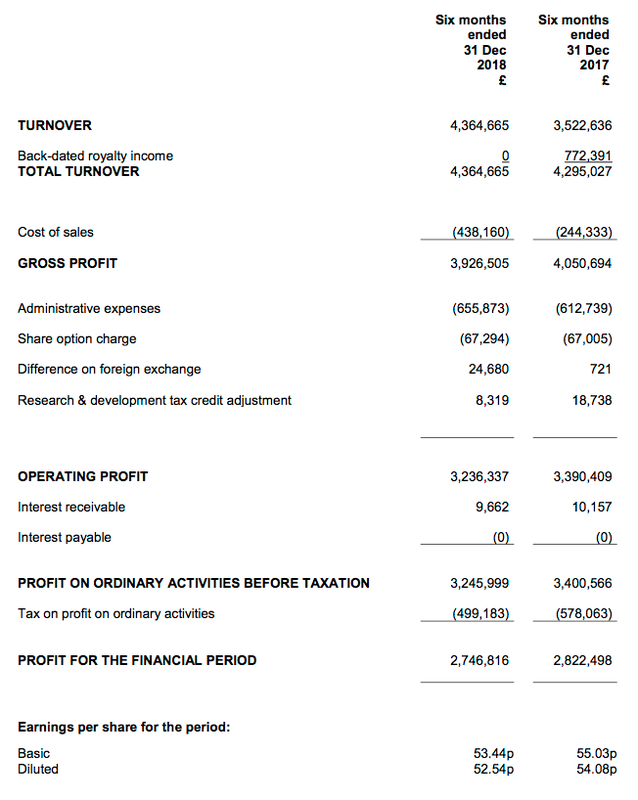 Subtract the 106p per share cash position from the 3,850p share price gives an enterprise value of 3,744p per share. Dividing that 3,744p by the 110p per share earnings figure gives an underlying trailing P/E of 34. The rating is undeniably rich at twice the market average. However, BVXP’s underlying earnings have increased by at least £3m during the last five years, while shareholder equity has advanced by almost £7m. BVXP’s five-year incremental return on equity is therefore £3m/£7m or c40%, which is at least twice as high as that of the average quoted company — and perhaps explains why BVXP’s P/E rating is twice as high, too. The trailing 66p per share ordinary dividend supports a modest 1.7% yield. Good report Maynard. Nothing material to add that I can think of. If anything I’d argue that your ROE sums understate things really, as pretty much all of BVXP’s cash is surplus cash that is not needed in the business. It’s quite a big number too, £5.5m out of £9m of equity. Not sure I’ve ever come across a business with better economics than this – it’s really up there with the best of the best.